Dublin Fire Brigade are dealing with an underground fire in Santry, Dublin. Note: Story updated at 23:04. Five fire engines from Dublin Fire Brigade have successfully battled a in Santry, Dublin. 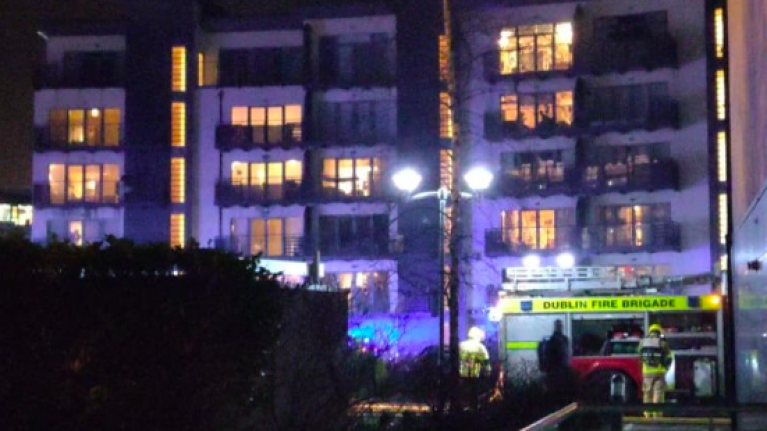 The incident occurred underground at an apartment complex in Northwood, Santry. A Dublin Fire Brigade spokesperson said; "We're making good progress at the underground fire in Northwood, Santry. Operations are continuing". They later added that: "no injuries reported, a prompt evacuation by residents helped. Multiple firefighters in breathing apparatus teams extinguished the fire". RTÉ stated that the blaze started in one vehicle just after 6pm in the underground carpark at Ceder Apartments on Northwood Avenue in Santry. The fire then spread to five cars and continued to ascend up the walls into two apartments. It has now been extinguished.